It’s one thing for a jury to deliver not guilty verdicts in a multimillion pound fraud trial. But for a judge to call a halt to the proceedings after hearing the prosecution’s case is far more unusual. This outcome now raises more questions than answers. And it’s the Serious Fraud Office (SFO) that is under the spotlight for its handling of this case. Chris Bush, Tesco’s former UK boss, and John Scouler, the former commercial food director, were part of the so called “Cheshunt Eight” – a group of high ranking Tesco executives who were suspended after Britain’s biggest retailer stunned the City in September 2014 by revealing that it had overstated its profits by £250m. After decades of growth, by 2014 Tesco was in trouble. The company was hemorrhaging sales. Despite this, aggressive and unrealistic targets were expected to be met. To plug the gap, the company was extracting greater sums of money from its suppliers. There can be an array of fees that suppliers pay retailers to sell their products, from paying for promotions to rebates or discounts on the final bill if sales targets are met – all perfectly legal. But within Tesco, an aggressive culture had developed, from tactics used by its buyers to the way it approached its accounts. This case focused on the claim that Tesco had pulled forward income into one financial period when it should have been booked later. For instance, lump-sum deals where Tesco would be paid upfront for agreeing to do something later – in some cases up to five years in advance. The prosecution alleged that Mr Bush and Mr Scouler were “the generals” who concealed this “improperly recorded income” and that they bullied others to falsify figures which ultimately misled the stock market. But as the trial progressed, the prosecution was unable to produce evidence that the defendants knew there was a serious and fraudulent problem with the accounts. The jury also heard from the defence that the “pulling forward” of income was a legitimate practice in many areas and that quite a lot of the £250m wasn’t a hole at all. The key witness was Amit Soni, a Tesco senior accountant. He was described as a “whistleblower” who co-commissioned an internal report to expose the gap in the accounts. The prosecution claimed that when the resulting document landed on the desk of new chief executive Dave Lewis, it was like a hand grenade had gone off in the company. However, when questioned by the defence, Mr Soni accepted that he had been unaware of improper accounting until he produced his report, which was written months after the problems were already spiralling out of control. The defence argued that Mr Soni was not a whistleblower at all. “If Mr Soni didn’t know the accounts were unreliable, then how on earth was Mr Bush supposed to know that they were”, his barrister, Adrian Darbishire QC, told the jury. Mr Scoular’s barrister, Ian Winter QC, suggested that “dodgy” documents had been created at the very bottom of Tesco that had fooled the accountants into thinking it was bookable. 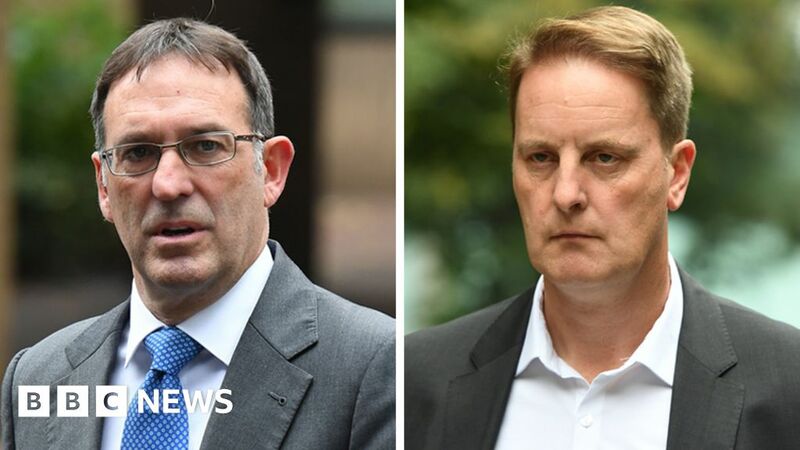 This trial never delved into the deals Tesco’s army of buyers did with their suppliers, much to the frustration of the defendants and their legal teams. Ross Dixon, partner at law firm Hickman and Rose, and solicitor for Mr Bush, said: “Given its status as the UK’s leading investigator of serious and complex fraud, the SFO made many basic mistakes. “For example, failing to identify the correct versions of documents shown to Mr Bush, and failing to undertake any detailed forensic analysis of the underlying accounting evidence. It’s the second blow to the SFO this year. It recently lost its appeal to pursue Barclays Bank regarding its £12bn bailout secured from the state of Qatar at the height of the financial crisis in 2008, after a five-year investigation into the deal. Tesco has already paid a fine of £129m to the SFO in relation to the accounting scandal. It entered into what’s called a deferred prosecution agreement, or DPA, with the SFO. The deal was with Tesco Stores Ltd and does not address whether liability of any sort applies to the larger parent group Tesco plc or any of its employees or former employees. This outcome now begs the question, if there was illegality – who was responsible? “Although this case produced an outcome for the SFO in that Tesco entered a DPA, there will be questions asked whether they, as both an investigator and prosecutor, have sufficient financial and human resources to investigate highly complex cases to the level required,” says Sarah Wallace of law firm Irwin Mitchell. More than four years on since the accounting scandal erupted, plunging Tesco into its worst crisis that wiped billions off its value, we still don’t know the full details of what went on between buyers and suppliers – and probably never will. Tesco says it is a very different business today, including completely changing its relationships with suppliers. It’s got rid of most of the complex and varied ways it used to get money from them and instead concentrates on negotiations over the price of goods and the volume. As for the food and drink industry, the impact has been “enormous”, believes Ian Quinn from the Grocer magazine. “The 2014 scandal was a wake up call, not just for Tesco but for other retailers, too,” he says. For Mr Bush and Mr Scoular, they can finally start putting the past four years behind them.